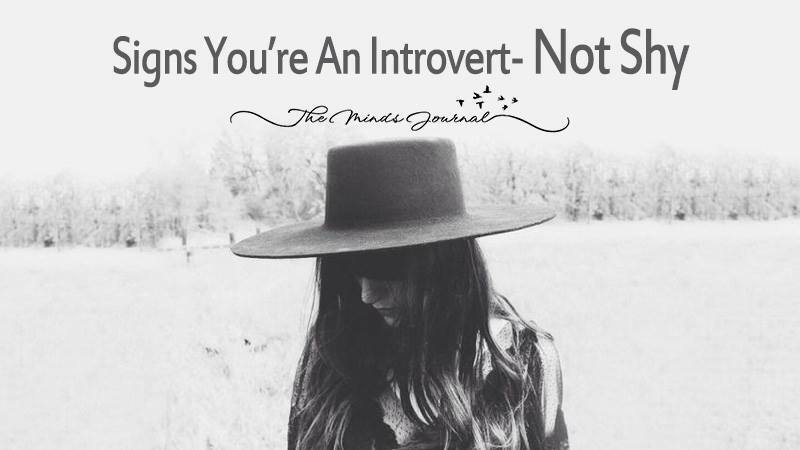 Many people believe introversion and shyness are the same concepts, but this is not true. All my life I was told that I was shy. I believed it too, until I learned that shyness is the apprehension and discomfort around people in social situations. When I learned this, I thought: wait a second- I’m apprehensive of people being around me, but being around too many people for too long always leaves me feeling drained. I could always understand that I needed an alone time to recharge myself. Moreover, I’m not a fan of interacting for the sake of interacting. I usually have a reason behind every interaction. It was then that the realization dawned upon me that I wasn’t shy, I was an introvert. Introverts prefer substantial conversations that yields some useful discussions. We’re deep thinkers, and thrive on grim conversations about metaphysics, philosophy of life, ideas, theories and big goals. But when small talk is inevitable, we can’t help but try to make the other person feel comfortable. We’re very good listeners and are naturally in tune with the feelings of others. More often than not, you find these casual chit-chats morph into deeper, more meaningful conversation. Introverts are not the best at talking over the phone. It’s not personal, honestly; we stay away from calls of our dear and close ones too. At times we really hate the phone because it’s intrusive and distracts us from whatever we’re deeply focused on. However, those we choose to speak to can be sure that our monthly (or annual) phone conversations will be spilling over with plenty of heartfelt talk- and these calls will more than likely last for hours at a stretch. Also, not always will you be replied. Your text might be lost in the crowd of other pending messages before it draws enough attention to be replied(a few times in life, if you are lucky enough!). This is because most of the time they are not adept at starting a conversation or continuing it. You prefer one-on-one time, where it’s more intimate. If spending time around a lot of people is inevitable, you can’t wait to go home and recharge your batteries. You feel all drained by the overflowing social energy. So, in social gatherings, you mostly fake a smile here and there, hasten through a small talk and rush back home as soon as possible. As an introvert, you find it difficult to meet people you prefer and feel comfortable with. You don’t get energized so easily by the people around you, and most of the time, it takes you a little while to warm up to someone.